Definition at line 64 of file CReportBody.h. Definition at line 45 of file CReportBody.cpp. Definition at line 51 of file CReportBody.cpp. Definition at line 54 of file CReportBody.cpp. Definition at line 90 of file CReportBody.h. Definition at line 106 of file CReportBody.h. Definition at line 122 of file CReportBody.h. Definition at line 98 of file CReportBody.h. Definition at line 130 of file CReportBody.h. Definition at line 114 of file CReportBody.h. Definition at line 67 of file CReportBody.h. 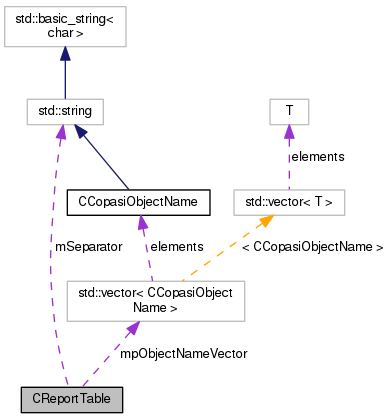 Referenced by cleanup(), getObjectNameVector(), and setObjectNameVector(). Definition at line 69 of file CReportBody.h. Referenced by printTitle(), and setPrintTitle(). Definition at line 68 of file CReportBody.h. Referenced by getSeparator(), and setSeparator().